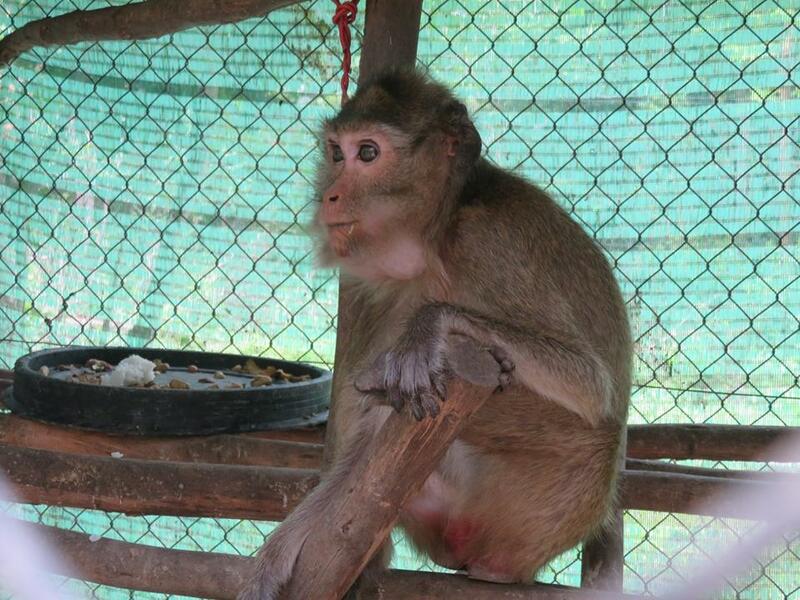 As I have promised, here is short a video of Amari and Lori, the two macaques we rescued from Angkor. Both have made a remarkable recovery and are in good health, as you can see. 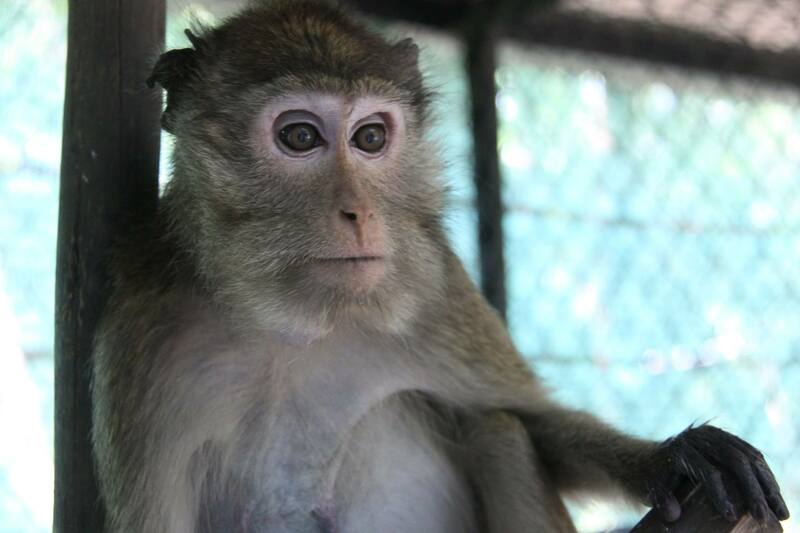 We need to keep Amari in a small cage during the time we are unable to give her direct supervision, because she is blind. 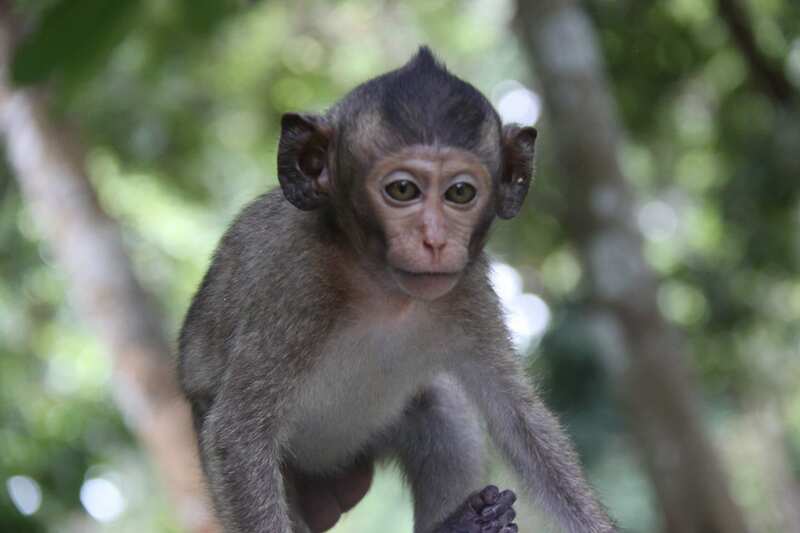 For the same reason we cannot keep her with other macaques. However she is very happy to have the company of her daughter, Lori, once again and we give them the opportunity to enjoy some time outside their enclosure when we can. After she has been outside for a while Amari sometimes gets a little concerned due to her lack of vision and we then return her to the safety of her cage. We’ve received many inquiries recently about when Amari and Lori will be placed in an enclosure together. Even our Director spoke to our nursery team this week about this subject, and he was very satisfied with their response. The nursery team does not believe Lori is strong or coordinated enough yet to be placed in a larger enclosure. At this point in time, they do not wish to risk potential further injury. 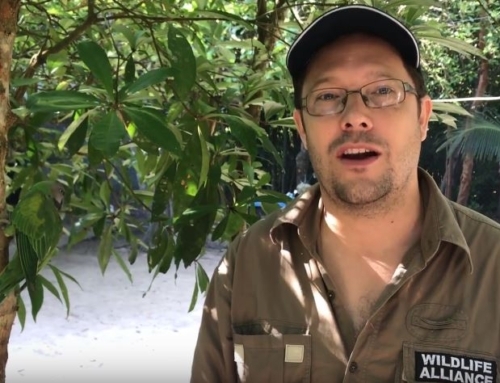 We appreciate all of their fans want to see them reunited, as do we, however even our Director defers to the experts, our nursery keepers, when it comes to the care of all of our infant primates. So, for the time being, we will all just have to continue to wait! Still coming along and leaps and bounds little Lori is doing well. 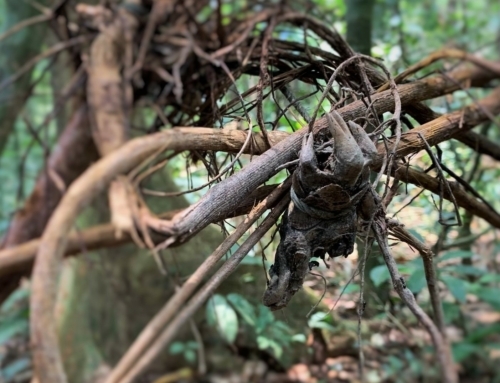 It’s great to see the progression in her condition as she goes from moving around her enclosure at the ground level only to now climbing up and down the branches placed inside. Occasionally she still slips and falls, which is why it’s important she builds her strength and coordination in a smaller enclosure first before we consider moving her. No new diagnosis updates yet. 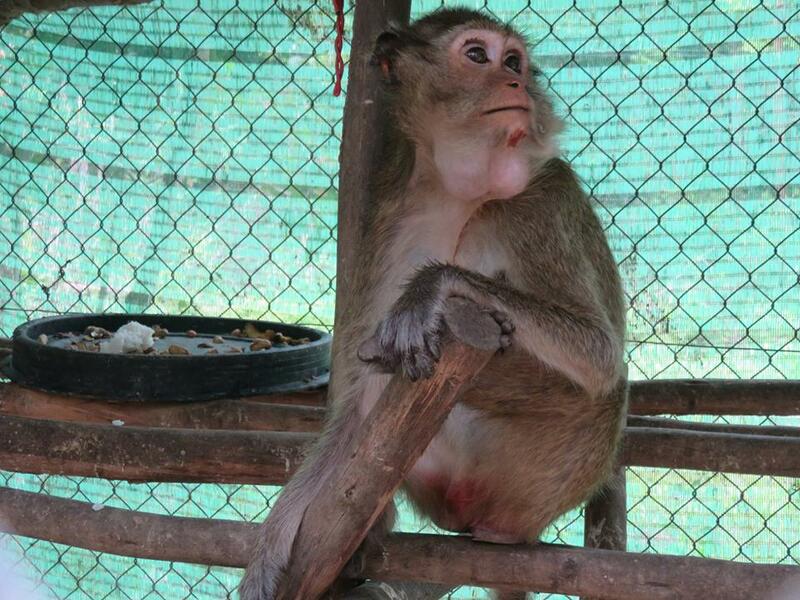 She’s been provided with parasite control and some vitamins and is still undergoing some further diagnostics. Despite this, the team is still happy with how she’s progressing and she certainly seems content as long as she’s receiving regular meals! Despite loving all of her afternoon snacks, as seen here in this video, it’s become quite evident she’s not a fan of sweet potatoes as she drops these on the ground for the Keeper’s to clean up! As always, Amari is happily stuffing herself with all food presented to her! 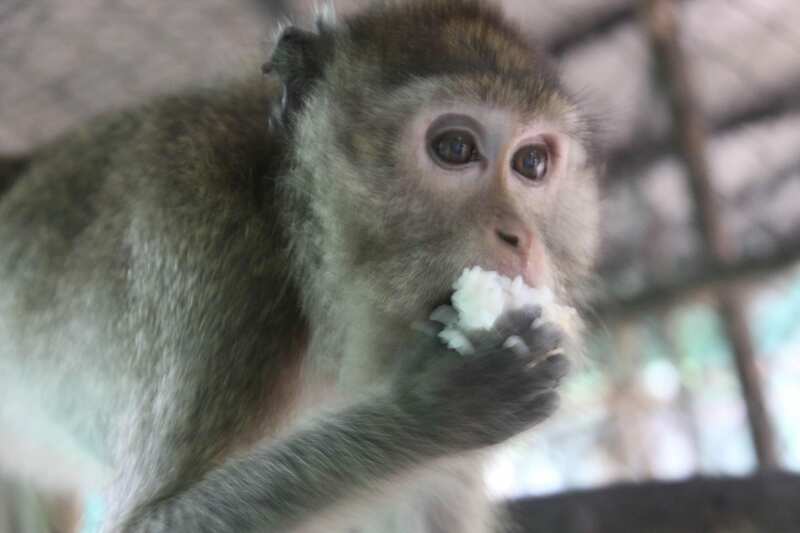 Here she is enjoying her ‘monkey breakfast’ a meal of peanuts, sweet potatoes and a bit of rice to provide extra carbohydrates and protein and encourage foraging behavior! She still has not put on weight despite a well balanced and nutritious diet and is undergoing further diagnostics. Despite this, she is still bright, more and more comfortable with her surroundings! We will keep you updated on her condition. Lori’s tail injury is fully healed and the hair is starting to grow back. 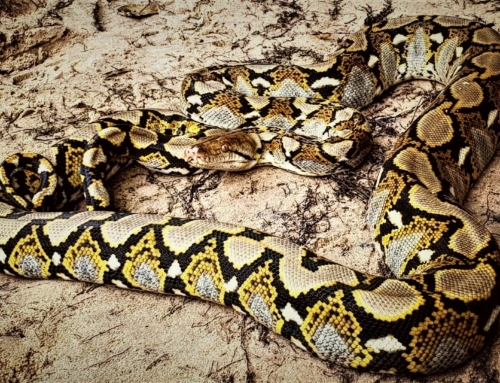 She is getting regular exercise outside of the enclosure under the close supervision of staff. Her strength and coordination continue to improve. The caretaking staff is very happy with her progress. Lori would like to pass on her thanks to her adoring fans for your continued support! The girls are both doing really well! Lori’s cognitive function continues to improve daily and she is now communicating with the Keepers. Her tail is still healing and quite sensitive, however, the vets are happy with the progression. Amari’s voracious appetite shows no signs of diminishing and we’re starting to see her put on weight and body condition, which is a good sign. She’s very keen on inspecting anyone who approaches her enclosure, mostly checking if you’re bringing treats! 1. Lori’s eyesight. It appears to be improving. We suspect her loss of sight was associated with her head injury rather than her eyes themselves. Fingers crossed for further recovery. 2. Amari & Lori sharing enclosures or being housed next door to each other. This is not currently possible. Given Lori’s current condition she is not strong enough to be in a larger enclosure like Amari or the same style of enclosures next to her. Perhaps in the future, only time will tell. 3. 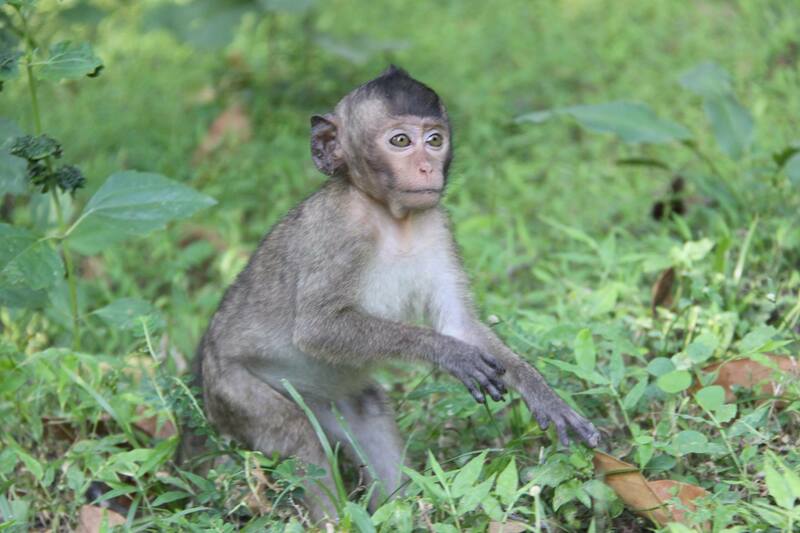 Lori sharing an enclosure with other juvenile Macaques. This is also not currently possible given her condition. We do not want to risk any possible further injury or any undue psychological stress. Again, perhaps in the future, this may be possible. We will continue to assess as she progresses. 4. Visiting Amari & Lori. For the foreseeable future, both girls will remain in our nursery section which is not accessible to the public. This is to ensure they are receiving round the clock care from our dedicated nursery keeping staff. We will keep you posted if or when this changes. Day to day they both continue to improve, grow stronger, and we are very happy with their progress thus far. Both girls are very sweet and you can see their relationship with the keepers evolving as they build trust and become familiar with them. 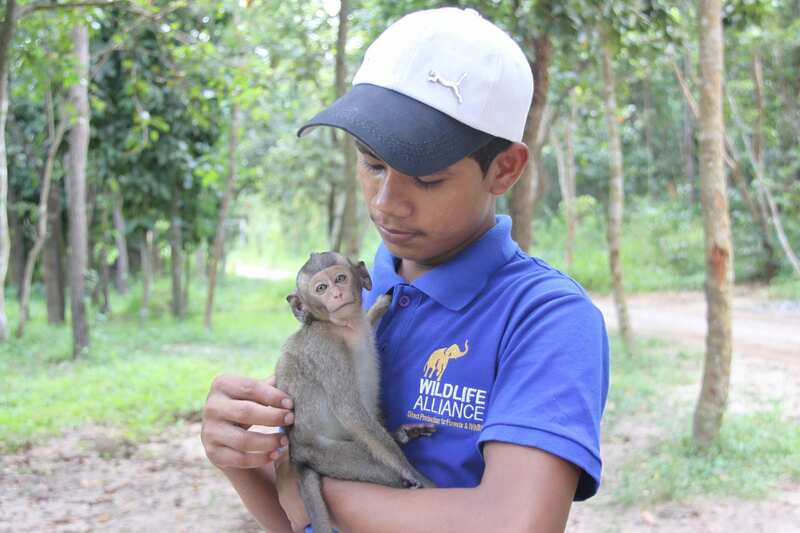 Don’t forget you can support their ongoing care by donating to ‘Care for Rescued Wildlife’ via the button below. 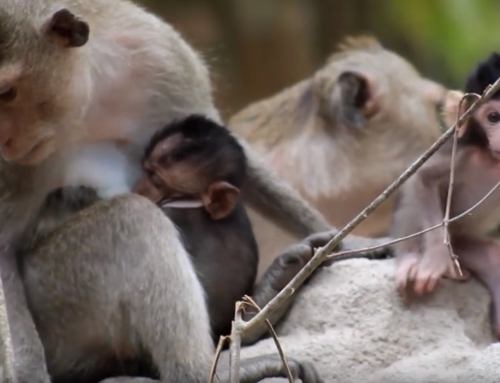 While Amari is not 100% blind, her other senses are starting to accommodate her vision impairment and she is relying more on her sense of smell. She still has a voracious appetite and continues to demolish all of her meals! 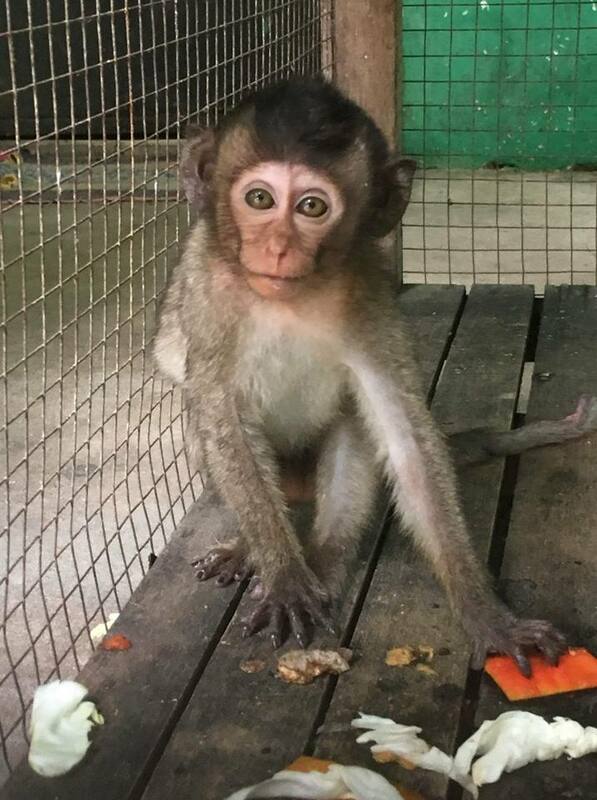 Lori’s tail is healing well and while she has lost a little from the end, many Macaques manage to survive in the wild even without a tail, so we’re confident this will not hold her back. Both girls continue to improve and build their strength daily and we’re happy with their progress thus far. Good news! Today, Amari and Lori’s caretakers reunited the two for a short period of time to monitor their interactions. The mother and daughter were happy to be in each other’s company again. Because Lori is still recovering from her serious injuries she will need to remain in her separate enclosure for her safety until she regains her strength and her condition improves. 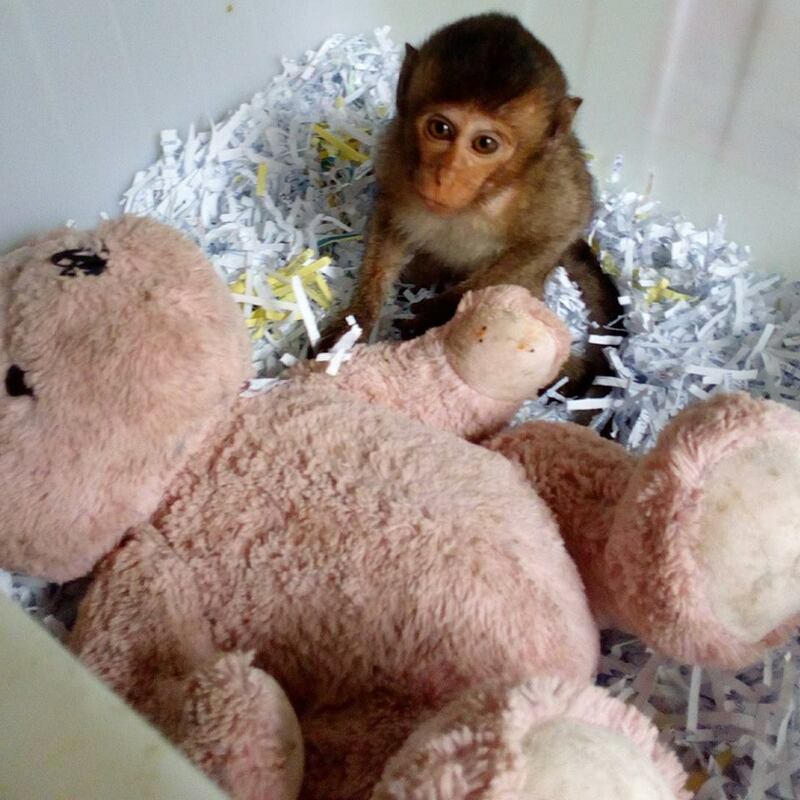 She continues to get lots of love and devoted care from her keepers and will hopefully be reunited with her mom soon. 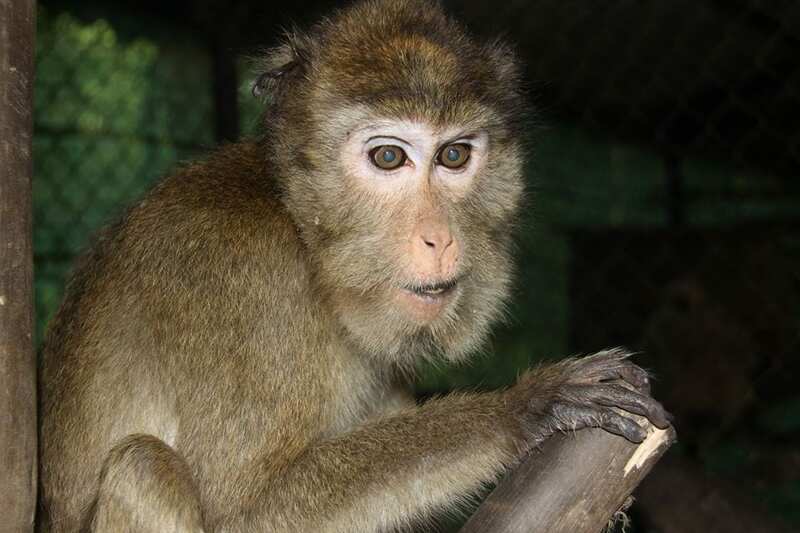 Lori is blind and has impaired movement due to the brain injury, however, she is continuing to get stronger every day, feeding herself and moving about the enclosure. Our staff continues to monitor her progress. 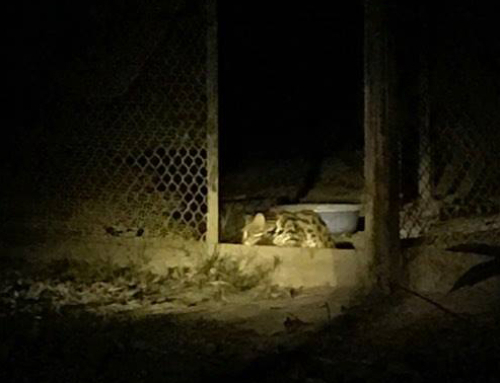 Our keepers move Lori inside at night and during the heavy rains to ensure she does not get too cold, providing extra artificial heating if necessary. Amari’s blood samples confirmed heightened blood sugar levels and our vets are drawing up a treatment plan. She continues to eat all the food put in front of her and is gaining weight, all good signs! No new major developments in the girls’ conditions. We continue to see small daily improvements as they regain their strength and both continue to be assessed by the Veterinary staff daily. The Keeper’s are doing a wonderful job keeping a very close eye on them, particularly little Lori. Please note both girls are currently being kept in a section of the park which is not accessible to the public, so they are not currently accepting visitors. 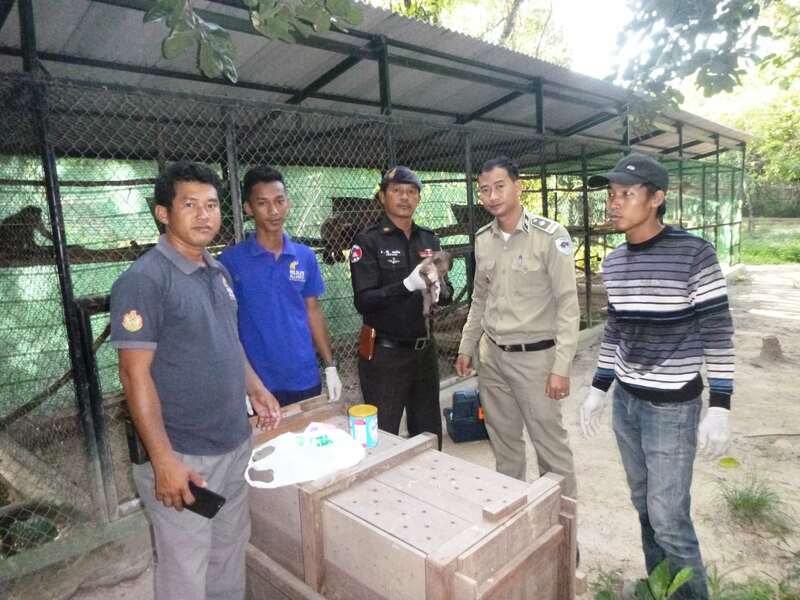 This particular section is a staff only section as many animals have not passed quarantine and this is where the most fragile victims, the infants of the illegal wildlife trade in Cambodia, are first received. We appreciate your understanding and we’ll be sure to let you know when they are up for visitors! The girls are doing well and continue to grow stronger each day! Amari continues to eat her meals and move about her enclosure. We have determined that she is not completely blind. She is curious about the keepers who come to provide her meals! Lori is also settling well, the wound on her tail healing slowly. She is moving and feeding herself on her own and gaining strength each day though she will need much more strength before she can join Amari in the larger enclosure. For now, Lori is in a small enclosure so that she does not suffer any falls causing more damage while she heals from the many injuries to her spine and leg. The girls are close and under constant supervision from nursery staff as they recover. Let’s hope each day brings them a little more strength! 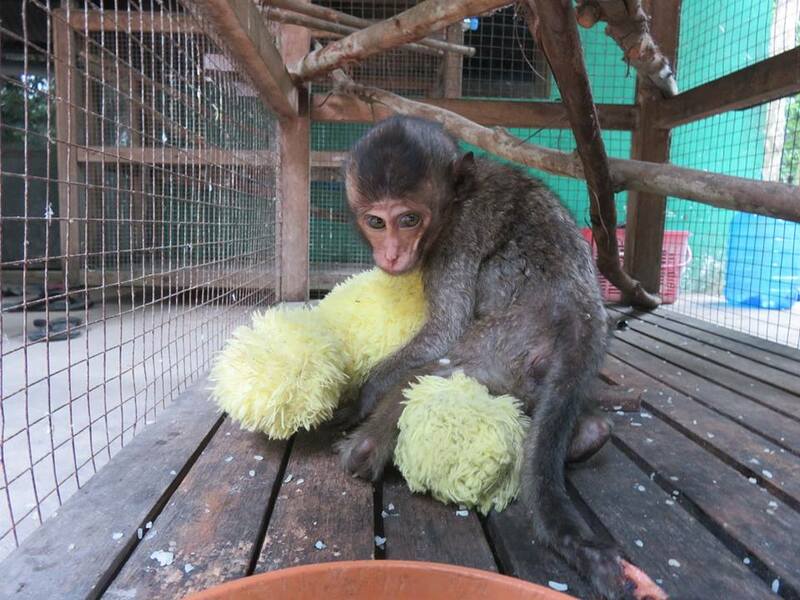 Firstly we would sincerely like to say ‘THANK YOU’ to everyone who has donated to Amari & Lori’s care at Phnom Tamao. We truly appreciate your support. Both girls continue to do well. Lori continues to grow stronger every day and we continue to see small improvements in her condition daily, particularly her mobility. She is certainly a fighter! Amari has settled in very well and is quite comfortable in her new abode. She’s got quite the appetite and we’re pleased to report is happily licking her plate clean at every meal! Looking forward………it is highly likely that both Amari & Lori will continue to require ongoing care for the rest of their lives. 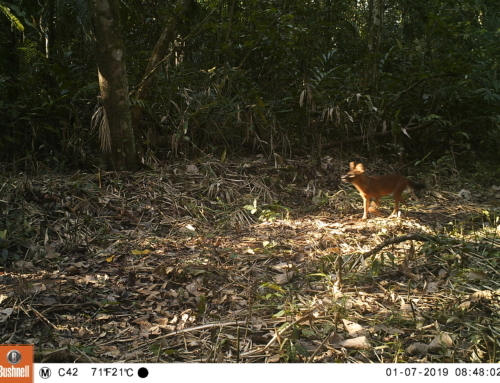 It would appear as though they are unlikely to ever fully recover and as such we will continue to provide them refuge. 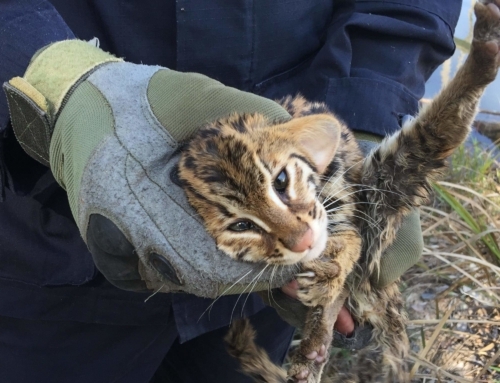 Our goal at Wildlife Alliance is always releasing, and we are proud to say we are able to release approximately 80% of the animals that are donated to us or confiscated. 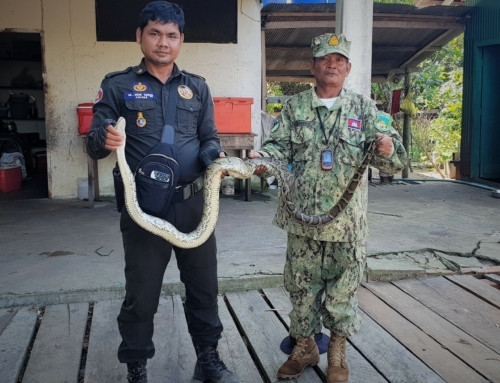 However not all animals are fit for release back into the wild, due to either physical or psychological conditions, and Phnom Tamao provides those individuals with a safe place to call home. It is likely that both Amari & Lori will become permanent residents however we will be sure to keep you updated on any changes. Thank you again for your support and also your understanding. We hope everyone enjoys the rest of their weekend and we’ll be back Monday with the next update! Lori and Amari update: park keepers at the nursery giving the pair some well-needed nutrition from various fruits and vegetables. Amari climbed the small structures in her enclosure and polished off all of hers quickly; a good sign showing she is comfortable in her new surrounds. 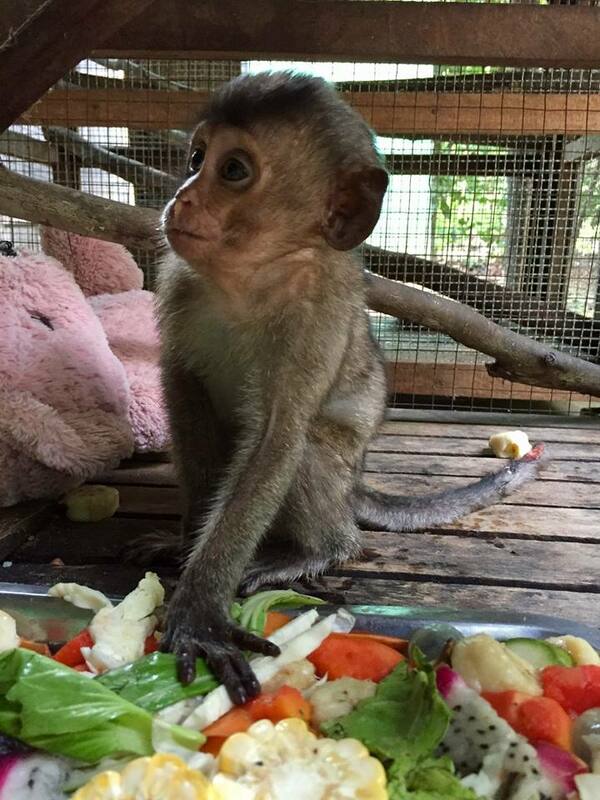 Lori, though finding it difficult to feed herself, munched through her food with the help of her carers. We are happy with how the pair is showing good appetites! 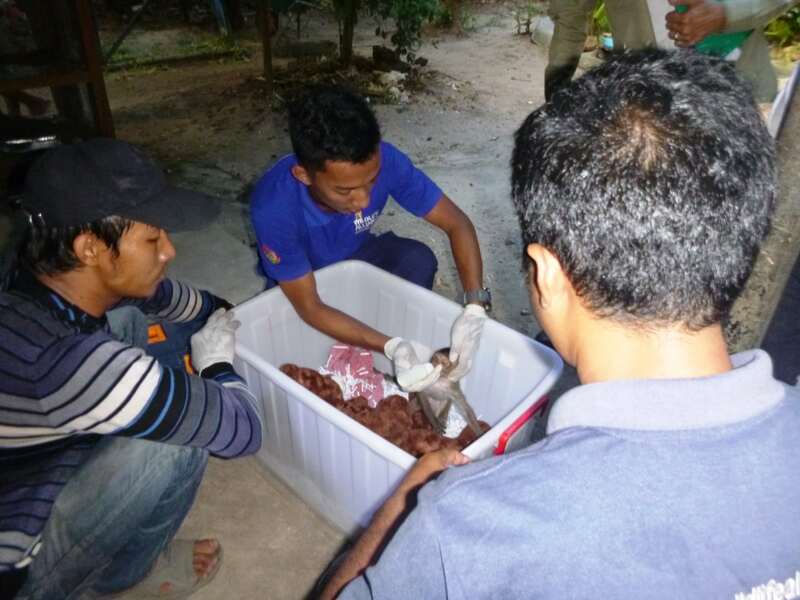 Hopefully, this will add to their strength, though they still have a long road to recovery. 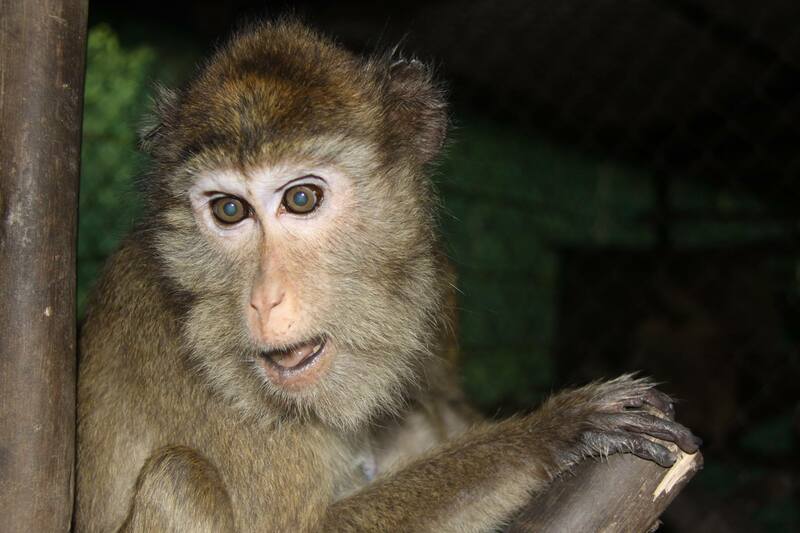 Our most recent update: Amari is settling into her new home well and a treatment plan for her is being assessed. 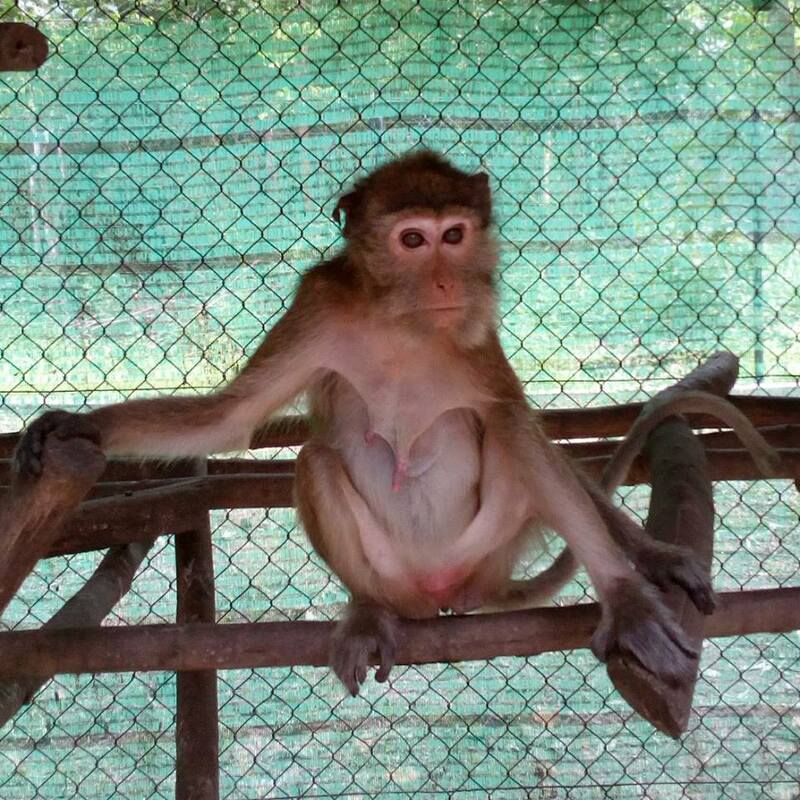 Her baby, Lori, is still under close supervision from nursery staff to ensure she does not hurt herself any further. Both have healthy appetites however, at this stage, it is too early to tell if Lori will be able to fully recover from her spinal injuries and nerve damage. 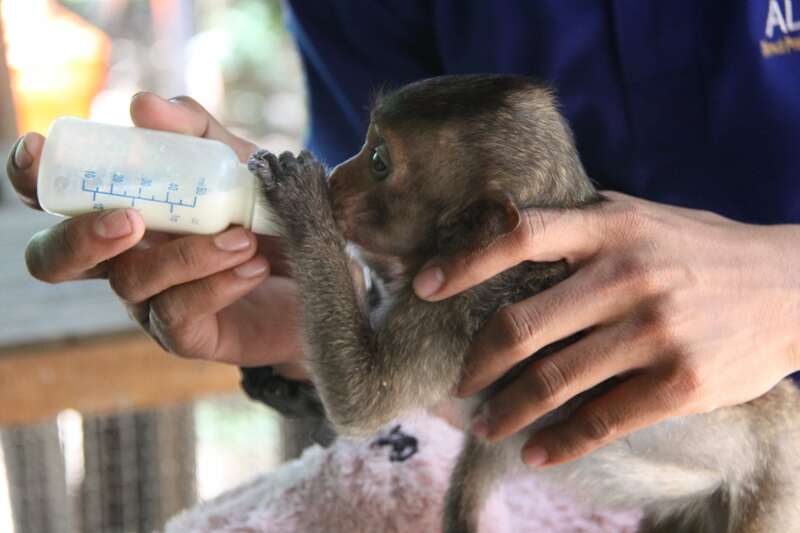 Our vets have been giving them the best care they can from the moment they arrived at Phnom Tamao. 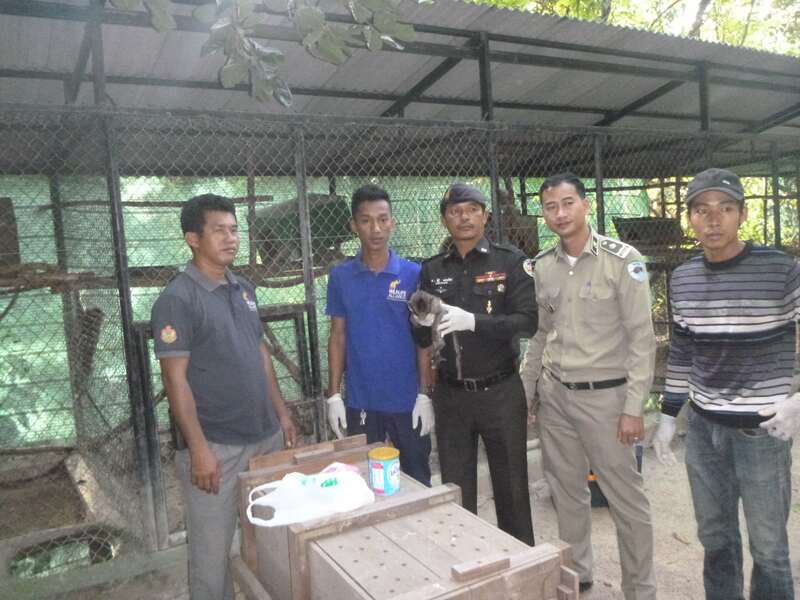 The Wildlife Rapid Rescue Team (WRRT) traveled to the temples of Angkor to rescue a female macaque and her infant, known as Amari and Lori. 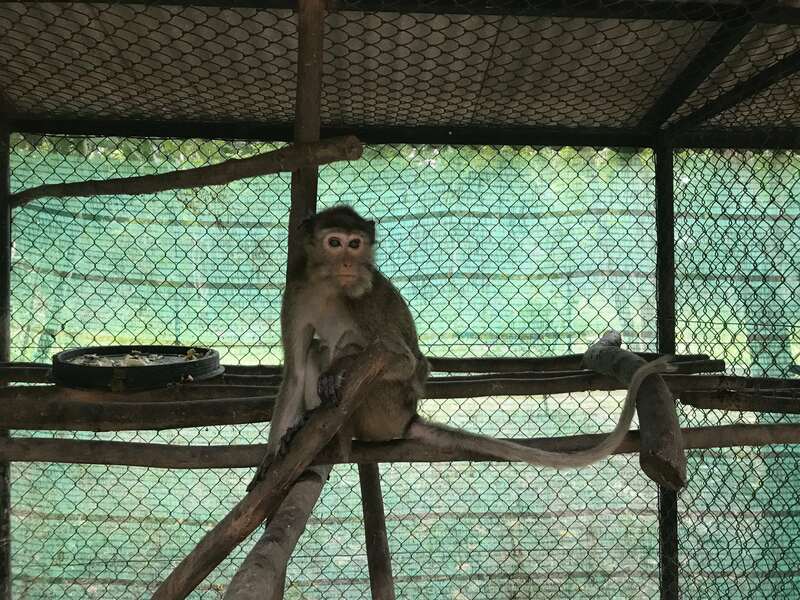 The monkeys were donated to the team by a concerned individual who had them under his care after noticing the pair’s poor health and removing them from the forest to care for them. 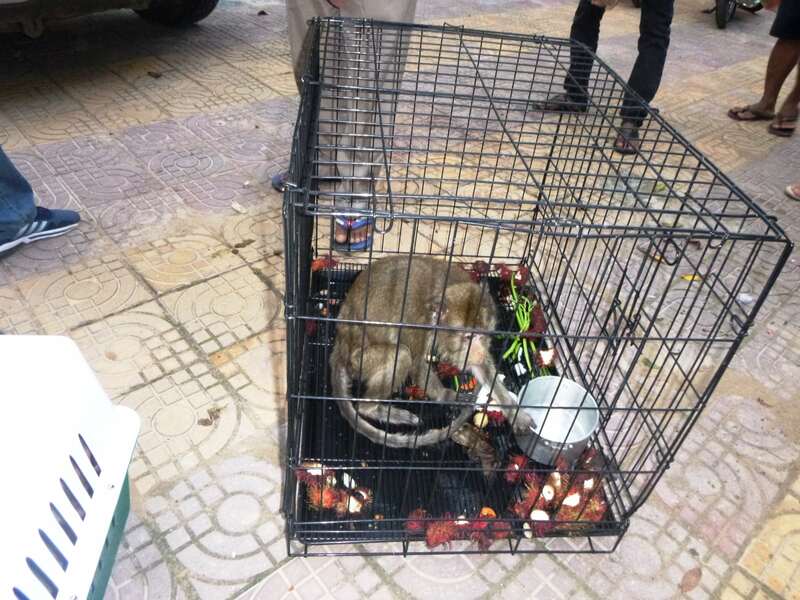 The WRRT have successfully taken the monkeys to Phnom Tamao Wildlife Rescue Center, where they will be assessed and treated by our veterinary staff. 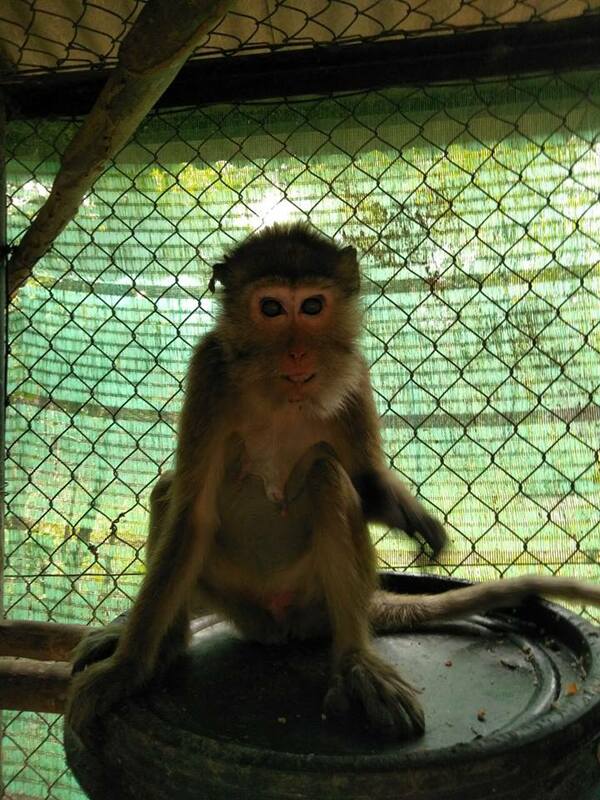 The youngster, Lori, is being provided treatment and is in critical condition. Amari is doing well and has already eaten up the fruits and vegetables provided in her new enclosure. They will remain under 24 hour supervision by our nursery staff. 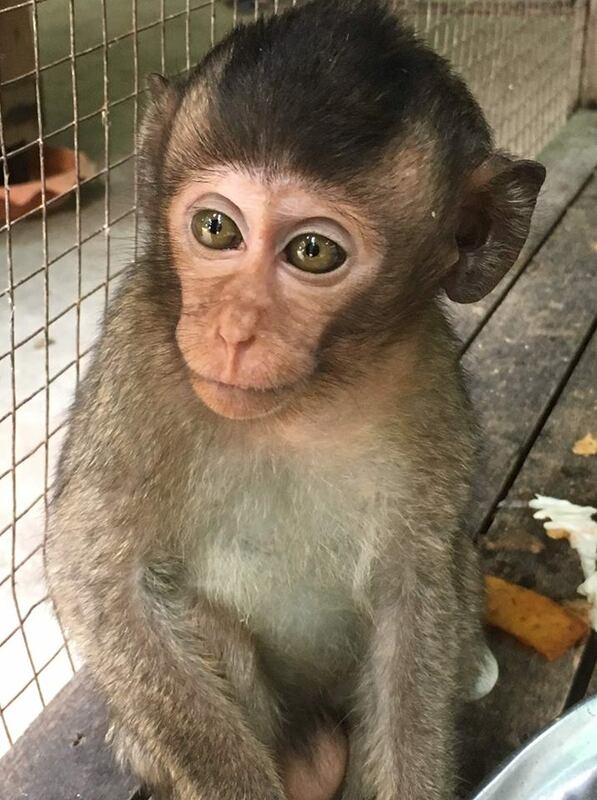 If you would like to donate towards Amari and Lori’s care, please make a donation to “Care for Rescued Wildlife” and mention the Angkor monkeys in the comments. The girls look great! Thank you! Y’all Rock. Very kind of you to address people’s questions. Everyone in all the different roles are busy enough each day to count for two. As you can tell many of us are very invested in Lori. I for one find no reason to question your care for Lori or any other little soul in your trust. This organization is being good stewards of God’s creation. I hope to be able to send a donation soon. 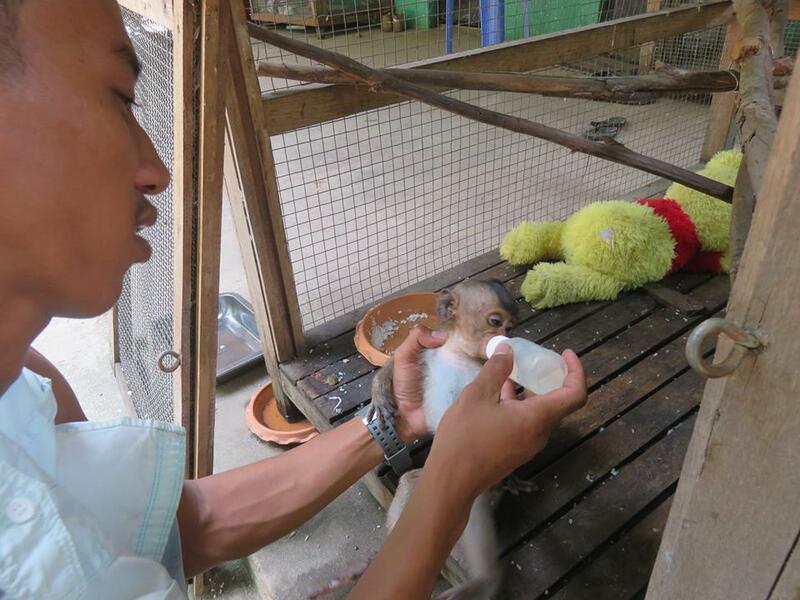 Thank you to all the caretakers there at Phnom Tamao Wildlife Alliance Rescue. You are so kind to take in and care for Amari and Lori. I think Amari is very happy with the room service at your facility and she loves the young man who brings her the all you can eat buffet every day. I apologize for Amari’s poor table manners but I think she is doing better now as she is not going through her food platter like a buzz saw anymore. Lori will never give up on herself as long as you don’t give up on her. 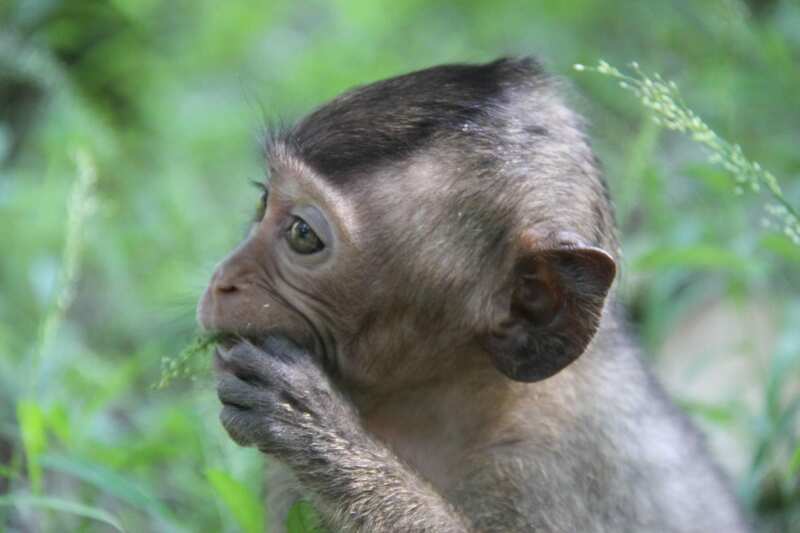 Lori does NOT know how to spell the word ” Fail “……well mainly because macaques are terrible at spelling. I live on a very low disablity income but I am mailing today a $20.00 donation to your office in NYC in the name of Amari and Lori. I spoke to Jess on the phone at that office and she is very nice and she was very aware of Amari and Lori. Bless you all for protecting these beautiful animals. WHERE HAS LORI GONE? WHY NO UPDATES? I am concerned that you haven’t issued an update on Lori. I am worried that something has happened to her. Would you please let us know her status? Thank you. 18.12.2018 I was rather concerned to find no new videos about Lori and Amani while they lived in the parkside. They seemed to have disappeared. I recently found your YouTube video posted about 3 weeks ago. It is wonderful how good Lori’s health and condition have improved. She was so sick and debilitated when I last viewed a video about her. Since there was no narration in English, I did not understand just how critical her condition had become, just that she looked worse each time a video was posted. All of your staff are doing a wonderful job of healing with this pair. Hopefully with the continued care and regular nutritious meals, they both will continue to show such wonderful progression. I know there is so many animals to being care and time is always short for doing all but why we cant get any news from Lori and Amari anymore,please sometimes you can update few words and pictures about this girls.Thank you ! 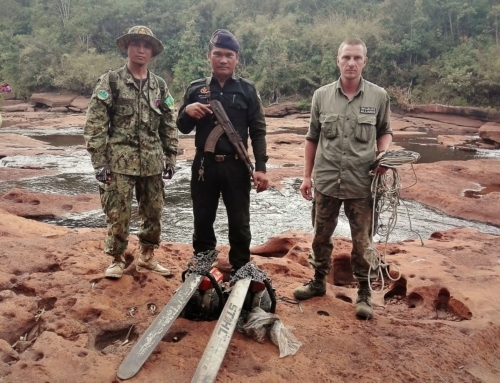 I am trying to find out what happened to Axel, a pet monkey that was dropped off at Angkor Wat near the Amari and Amber troops. An unmarked white extended cab pickup picked him up on Thirsday or Friday, April 4th or 5th. 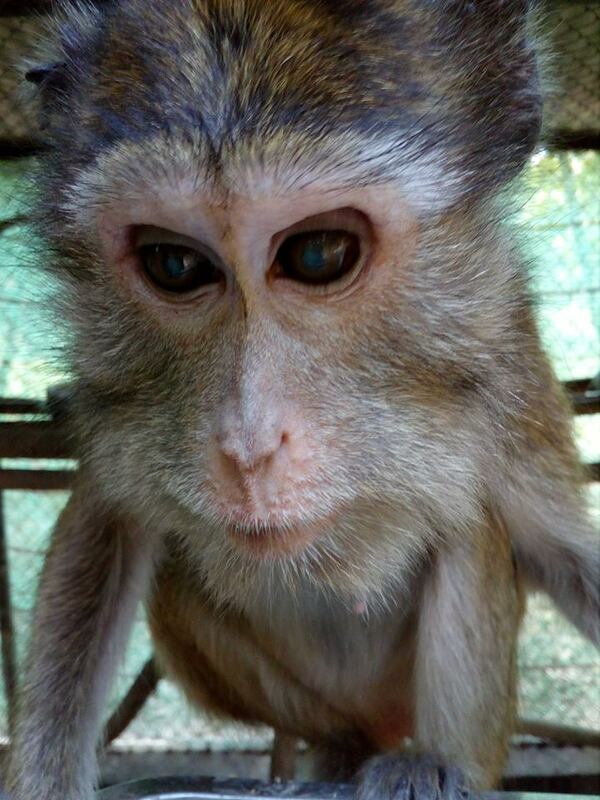 The orphan Sabrina was picked up the same day but not in the same truck and not the same people. The people that pi krd up Axel were not wearing g the green uniforms either. What can you tell us about axel? Is he ok and not missing the people who took care of him at Angkor. We miss him so much. Any feedback or video will be appreciated.